10 essentials to taking your business to over a $1Million – Millionaire Mastermind special report. At a recent TV interview that I did I was asked an interesting question. The reporter asked after researching more than 400 of the world’s top achievers and greatest business successes of this generation what would I say are the top 3 things that I believed contributed the most to a businesses or persons success. While on the air I gave 3 simple answers, but since then I have had a chance to really think about that question and I believe after some careful consideration I now have an answer that I would like to share. For starters I will say that I don’t really think that there are 3 things, but instead there are 10 things that I think are fairly consistent with all of the top achievers that I have studied. Before I share these top 10 things I want to point out two things. First, Some of these things may appear to be fairly common sense. Some of these may not. As I have conducted seminars since constructing this list it has been interesting to sometime introduce this list by asking participants to list what they think I am about to share. In other words, what do they think based on their experience should included in the top 10 list. It is always interesting to see that sometimes four or five of these things are considered, but I have yet to find a group that is able to anticipate all 10. These are obviously things that we don’t always think about. I would invite you to also paused right now before reading the list to begin by making your list of ten things. It will be instructive to you to notice the differences. Secondly, While many of the things on my list may seem common sense and valuable there is a significant difference on how the average person does these things in comparison to how they are done at a high achiever level. According to the statistics bureau of the United States 85% of entrepreneurs (which includes home based businesses) report incomes of under $200,000 annually. A small percentage of 5% are above $200,000 but under $1 Million dollar. And then there’s the last group of 10% that has reached a level where they are making over $1 million dollars annually. When analyzing the data and considering the research I have personally conducted on self- made millionaires the reason for the difference is simple. It can be summed up in the words of Martin Luther King, “If you see some one more successful than you the only difference is that they know something you don’t.” In other words, you may feel like what I am about to see may have elements of common sense attached to it, but if you are not yet generating over $1 million dollars annually you may not yet be implementing these lessons at a depth that will allow you to reap the benefits and create the results. Focus and clarity are keys to creating success. You must have clarity on what you want and then absolute focus in getting there. In my studies of the top 400 achievers I found the thing that destroyed success the quickest was not having these two essential elements in place. A goal that is specific and clear becomes attainable and near. And once you really know what it is you want you can eliminate time or resource consuming activities that take you away from your most important goals. 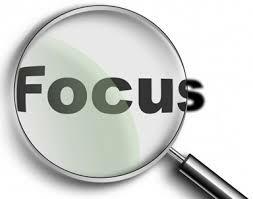 The problem with most entrepreneurs is that they split their focus among too many things. I like to share this analogy to compare to your energy and resources. Imagine you had a glass of water and a room full of plants. If you tried to water them all most of them would die and you would produce very little. Yet if you focused on watering just the plants you wanted to live they would grow and produce fruit. Choose your mission carefully and then focus on it entirely. Sales is the process by which you exchange your goods or services for money. It only stands to reason then that if you want to be highly successful you have got to learn this as an essential skills. In my experience with entrepreneurs this area can often be the most difficult. Many entrepreneurs have a very difficult time placing an appropriate value on their goods or services and then have a harder time securing contracts and asking for the money. In other words they often lack the ability to close the deal. 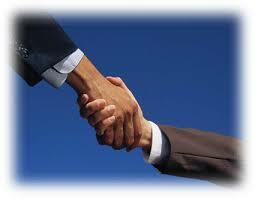 Negotiation is also something very difficult for many entrepreneurs. They don’t understand how to construct deals that create the best possible outcomes and as a result a lot of money is left on the table. 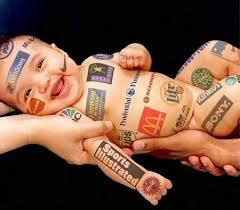 Marketing and branding is how people hear about you and perceive you in the marketplace. Marketing and branding goes way beyond advertising. In fact, it covers every aspect of how you are perceived in the marketplace. How you are perceived directly affects your bottom line and the opportunities that will be made available to you. Many entrepreneurs entirely overlook the importance of marketing and branding. The bottom line with marketing and branding is that if you aren’t telling people about you they will never hear about you. And also if you don’t deliberately control the message of your brand it will be created in the marketplace for you. Marketing and branding also include positioning in the marketplace. Positioning will determine who you do business with, your price points, customer expectations and a host of other considerations. Invest the appropriate amount of time to determine carefully who you want to be in the marketplace. When all is said and done business is about relationships and people. If you want to be successful in business you have got to remember the importance of people. You have also got to remember that the quality of people you attract will determine the quality of your business. I often like to demonstrate this by taking the word NETWORK and dividing it into two. NET and WORK. Let’s focus on the word NET for a moment. The first thing to consider is that the word net is like a safety net. If you have high quality people in your network your safety net will provide a level of solutions, support and answers that are high quality. When you experience a challenge you can go to your network for answers. The second thing to consider with the word NET is that your network in many ways resembles a fishing net and the better quality on your network also means a bigger draw in your fishing net. In other words, the better your network the more money you can expect to pull in. Network isn’t as much about quantity as it is about quality. The second word WORK is also important. 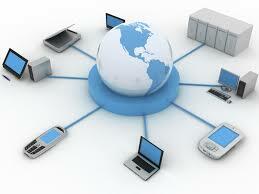 It requires work to maintain a network. And a different calibre of work is required to maintain a network for businesses at $200,000 than at $1 million dollars. When the quality of your network improves the results in your business do too. Often when I am in a seminar I will have someone ask the question ‘what does a good investment look like?’ That’s actually two questions, the ‘where’ relates to the geography, but the idea of a ‘good investment’ is also a question. Most people wouldn’t know what that looks like and so when it appears they miss it altogether. This is very similar to opportunity. Most people don’t know what opportunities could really help them in their business and because they don’t know what they are looking for they also don’t know where to find them. To often entrepreneurs stop at creating a product or service and they neglect seeking out and nurturing opportunities where their offerings can thrive. Opportunity doesn’t just come along. Opportunity must be created or hunted down. To do either of these things requires preparations. And like we have talked about earlier there is a specific way to create a $200,000 opportunity and a specific way to create $1 million dollar opportunities. Organization is the key to creating a strong business. Often the word business or company is substituted for the word organization. In some ways it is fair to say that if you are not organized you don’t have a business at all. When you are organized you are also positioned to move faster at implementing new opportunities and can meet customer needs faster. Organization is essential to your business but there is a consideration even more important. My experience with entrepreneurs over the years has highlighted a major challenge that has been the destruction of enormous growth and profit in business. 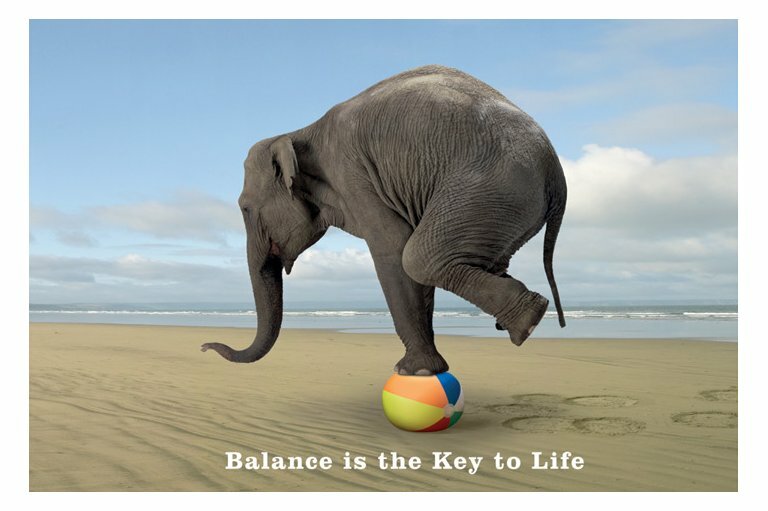 That challenge has been focused around balance, specifically life and business balance. Many entrepreneurs have the mindset that they will work at a task until the job is done. While this is a noble sentiment over the long period it may prove more destructive to a company than beneficial. Many entrepreneurs as they begin their business don’t understand the idea that if they don’t take care of balance they will eventually burnout. And if you do manage to survive as a workaholic your quality of life and the quality of life for those around you will suffer. It is impossible for you to do everything in your business and if you try to do so you can never get to and sustain the $1M mark. But it is isn’t enough to hire support or ask for help. Organization in your business is an essential tool to building a business that can receive support. I have seen many businesses that have hired help but their organization did not benefit from the extra hands because those hands did not know what to do. When something is organized it can be built upon and grow. But more importantly you don’t have to carry the entire burden of your company on your shoulders. You actually get to have a life! Your current level of effectiveness and income are a direct reflection of your ability to organize and manage what you already have. I know that this article called taking your business to a million or over, but I thought this was an essential principle to building a foundation of wealth. Here’s the principle: Look for ways to take money out of your company to create additional investments. In other words use cash flow from your business to diversify your risk. This is a similar strategy to something you might use with your own personal investment portfolio. There are several reasons why this is an important strategy. One that I have experienced with many of the clients I coach is that some businesses are seasonal. If you have established additional income streams for your business by investing in other opportunities you won’t feel the full effect of income shortages when your business is impacted by slow periods through out the year. The other reason I endorse this concept is the freedom I have experienced within my business when I know there is money coming in through sources other than my direct activities. I have been able to have more free time and less pressure because I know the company’s money is working for me. A third reason that has been very appealing for me is that I have been able to use funds generated from company investments to pay bills for the company. For example I have one investment by the company that pays a monthly dividend of $18,000 per month. As you can imagine that covers a good portion of my expenses every month and I don’t have to worry if my income takes a deep during a slow part of the year. Building income streams that are not reliant upon my efforts has given an extensive amount of freedom. Systems are the key to growth. You cannot effectively add other people to your organization unless there is some organization to bring them into. Systems allow people to repeat results that you have created. the more can systematize a process the easier it will be to acquire help. Systems also allow you to measure what is working and what is not. When you can see what is not working you can eliminate it and when you know what is working you can direct more resources to those areas of your business. I had a substantial amount of success selling the t-shirts to small sporting goods stores and providing the t-shirts for several martial arts tournaments. It was about this time that I encountered some interest in buying my company. The first few discussions went well as I was able to show promotional materials from events we’d been involved with and stores who had carried my shirts. Our initial discussions to buy company included dollar figures that I’d never seen before. i was very excited. Then the bubble burst. My potential buyer started asking about systems and how to duplicate what I was doing. It wasn’t long before I discovered I had no systems and other than the company name and a few designs all I really had was me. My buyer decided he was no longer interested. If I had systems that someone else could duplicate I would have had a sale. Duplication is the key to being able to grow to over a million dollars annual. Duplication can only be achieved with effective systems. Innovation has often been defined as the act of introducing something new. I think that definition needs to be innovated. Innovation doesn’t just mean new, it also means better and more effective. Innovations without an audience to use them come across as just plain weird. Innovation requires you to consider carefully where things are headed. Innovation is an exercise where creativity meets practicality. Innovation is an important part of business that is often over looked. In the marketplace generally speaking the first organization to market with the new product owns that space. A great example is Apple with the ipod. However Apple did not invest digital music players instead it innovated them to the extent where they could be consumed by the public en mass. Another great innovator is Thomas Edison. Most people think of Edison as the greatest inventor of all time. He is credited with inventing the electric light bulb, the motion picture camera, the dictaphone, the phonograph and more. But if you do your research carefully you’ll see that variations of all these inventions were patented long before Edison came on the scene. What Edison did was innovate these devices and make them accessible for the most part to the masses. It was here that he became attached to these devices in the history books. What can your company do to become innovations in your industry? In business there is a principle that many refer to as The barbarians at the gate. essentially what it describes is the idea that you have always got to be improving and innovating or your soon are either overtaken by your competitors (They are the barbarians at the gate.) or become obsolete by new market conditions surrounding you. Too often innovation can be the hardest thing for entrepreneurs to do. They often assume if a particular product or activity made them money in the past it will continue to do so. But staying in one spot for too long can spell disaster for you and your company. of downloadable music they resisted the idea heavily. They hung on to their beloved CDs. As change continued other players entered the downloadable music game and the record stores and many labels were left behind. The other day I went into a former record store and it was now mostly filled with merchandise and t-shirts. Most people no longer are buying cds. Another great example would be Blockbuster video. The could not adapt and so they are now gone. You would have thought that the largest video rental group on the planet might have had some relationships with movie studios that could have allowed them to do what netflix did and take their video rental program online. Innovation is an essential part of survival. You can’t hang so tightly onto your money making strategies from yesterday that you die going into the future. A few years ago I was sitting with Frank Maguire in a shopping mall. He was one of the co-founders of FedEx. He was also the former VP of marketing for KFC, American Airlines and worked in the White House under JFK and Lyndon B. Johnson. He was one of my cherished mentors. He laughed and then answered the question. “Ignorance. Ignorance is the most expensive thing in the world, because it costs you time, money and keeps you from making more money.” Those words have always stuck with me. Ignorance is the most expensive thing int he world. 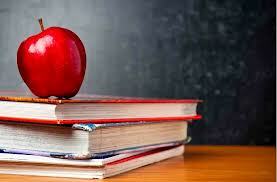 What you learn will always be a direct reflection of what you are able to earn. Often times people think that the best way to be successful is to think outside the box. I disagree. In all my research of the world’s most successful the way they have approached a problem is not to think outside the box, but rather to find a new box to think inside of. In other words, to solve their problems they have always looked to learn how others have done what they are trying to do. from their they improve on the answers they find and make it personal. Success always leaves clues and if you look carefully you can find that everything is ready for you to implement. simple lesson applied in the correct way can make you millions or save months or even years of time. Who can you learn from right now that will take you closer to your goals? Often when I talk with entrepreneurs they share a terrible lie that they believe that is really keeping them from making more money. I do’t know why they tell this lie because it doesn’t serve them. The lie is that for the most par they feel that they have no competition. They tell themselves that what they have to offer is unique and that because of their unique nature they have no competition. The truth is that if you exist in an area that has no competition you will have little chance of staying alive as a company and absolutely no chance to be rich. Wherever there is opportunity there will be competition. I do have some good news thought. The more you can mastery the above principles the better you will be able to place your competitors behind you. In fact, mastery of these principles will give you a monopoly. Mastery always creates a monopoly. A great case in point is Walmart. When they first came on the scene there were many large department stores all fighting for the customers bucks. But as Walmart mastered its positioning and product it became the only choice for discount shoppers. In many of the areas Walmart has moved into the other department stores have shut their doors. I used to think that this turf war was only taking place in small towns in America, but it is taking place even in the bigger cities. In Canada, where I am from, Walmart has knocked out Eaton’s which is a department store that had been around since 1869. At one time they were Canada’s largest department store. Now they are gone. Right behind them is Zeller’s another giant Canadian discount department store. (actually at this time of this writing all the Zellerʼs stores in my city have been replaced by Target.) And the list goes on. Their failure was their inability to innovate while their competition did. So how do you master these principles? The first advice I am going to share is that mastery is never complete. it is a journey. It is like tuning a radio. To get the station you have to be precise in how you tune the dial. The only difference in business is that the target you are tuning into is constantly moving which means you have to be constantly tuning. The moment you say, ‘I’ve got it’ is the minute you lose your mastery. If you wait until you find perfection you will never succeed. mastery is a matter of implementing what you learn along the way. In my wealth seminars when I am talking to my students about making a million dollars or more ever year some become afraid. They become afraid of the number $1,000,000. To them it looks very big and I think all of those zeros become frightening to them. Most of them have never seen that amount of money so they can’t even begin to put their brain around it. They begin to doubt that they will ever be able to reach that goal and so therefore most of them never really try. I have found it extremely useful to do a few things with that number. First, you may have heard the saying How do you eat an elephant? The answer one bite at a time. So with the massive number of $1,000,000 I have my students break it into a much smaller daily amount. 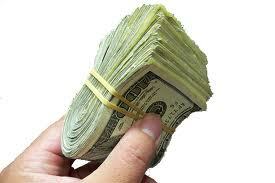 To make a million dollars annually the daily amount comes to $2,739 a day. Most people have seen that amount and it is manageable in their mind. You have had lots of times where you have had that amount of money in you bank or come through your hands so you can understand that amount. Your internal money thermometer gets it, because you have held it in your hands. I have them break that amount even further down to an hourly amount: $1,000,000 = $114 an hour. This becomes even more manageable. We have all had a hundred and fourteen dollars at one point. Heck, most people have spend that regularly in a visit to the mall. Lastly, I have them break it down into minutes: $1,000,000 = $1.90 per minute. Now it almost seems simple. From here I move onto the second step. We manage expectations and set up a goal. Most people think they can start making that $1.90 a minute or $1.14 an hour or that $2,739 a day pretty easily. The truth is that it won’t happen in one event instantly. It will take time to build the momentum. You can’t expect perfection on the first time out. Instead I encourage my students to think of it this way. Instead of making an extra $2,739 a day would it make a difference if you made an extra $500 a day? Of course they respond that yes it would. So I ask them an extra $500 a week? They again respond that it would. I then ask them about an extra $500 a month and again they respond affirmatively. I then invite them to start there, because an extra $500 a month is pretty easy. When you have learned how to master an extra $500 a month then you can start to create that extra amount in a week, and then a day and then you figure out how to do it a few times a day. Mastery is going to come in the same way. You start by learning how to do the smaller things in an excellent way and then you simply do it more often and duplicate your success. What will you do right now? This is probably the most important question of this entire book. What will you do right now? right now is the most important moment that you have. Too often entrepreneurs spend too much time thinking about either the past or the future. Your past has already gone. you can’t do much about that. Like I said in my section on innovation if you spend too much time in the past you will be left behind and overtaken by what is coming tomorrow. Other than contributing to your experience and your memories, your past has very little value. Your past will never significantly grow your bottom line. Your future has not yet arrived. And although you can plan for it and should plan for it, there is no guarantee that what you plan for will arrive as you requested. Life has a way of throwing curve balls at you and things don’t always turn out as planned. In addition, if you run with how you calculate your future to be you will miss out on a lot of opportunities that present themselves along the way. That’s why you cannot neglect this moment – now. Now is only the tool which builds dreams and changes situations. We have all heard before how people will take the word NOW and they will spell it backwards to get the word WON. I think this is clever but it is also only partly true. After all my research with the worlds top achievers I believe the word NOW should be used differently. Instead of being flipped around I believe each letter represents a new word. If you are going to be successful you have got to use the moment NOW, because if you don’t there is no other way you are going to be successful. And NOW is a fragile word. If you even whisper it, it will disappear into the past. Your most powerful success can only come as you seize this time and make of it something that you can be excited about. What will you do right now to become a master of the things I have shared in this book? And will you start doing it right now? Your answer to these two questions will be a direct reflection of the success which you will experience. A special invitation for you? Now that you have these lessons and concepts before you I am confident that you also have some ideas of some things that you want to bring back into your business. My experience has shown that many people start enthusiastically but then run out steam and also run out of ideas on how to take these concepts further so they can really start to make the money they were thinking about. It is for these people that my team and I have devised a way that we can be of service to you and help you really bring these tools and systems into your business. We call it the Millionaire Mastermind. The foundation of the coaching program is my extensive research into the lives of more than 400 of the world’s top achievers. This research has been the basis of my books, movies, TV program and other appearances. It is this content has me coming back again and again as a featured guest on ACB, FOX, CNN, NBC, CTV, CBC and more. Most importantly it is this content which is changing and improving lives and businesses around the globe. I know it can make a difference for you too. Money – Why you need to prepare now more than ever before! Why you need to prepare now more than ever before! Every morning I start my day by checking the news to see what’s going on in the world. As a general rule the news is pretty negative and often times even exaggerates that negativity just to get our attention. This morning I found a story that was very interesting to me, not just because of the shock value of the content, but because the content was terribly true. I have actually seen the subject matter manifest itself many times before me when working with those who come to my training programs. I’m glad they come because they can get help but many of them are arriving too late. The name of the article was ‘Why Millennials may never retire.” Are you going to be ready to retire? Nicole Goodkind of the Daily Ticker/Yahoo Finance doesn’t think so and for the most part I agree. According to her research those born between 1980 and 2000 may never be able to experience retirement. She states that, “The generation that came of age in the tech boom of 1990s but graduated from college into one of the worst recessions our nation has ever seen is left behind financially.” It is true that they are behind. Youth that are emerging into the working markets now are finding it very difficult to find jobs that pay high enough to meet their financial requirements. The median debt for students upon graduation is $23,000 and it is estimated that more than 7 million college grads are on a path to default on those loans. Goodkind also cited a recent study by Nerd Wallet that estimates these same college graduates will not be able to retire until age 73. That’s 12 years later than the current national average age of 61. These shifts in our economy do not only effect the millennials. I have seen first hand through those I have met that many over 40 are also struggling to prepare for retirement. They have no savings, no investments no retirement strategy. They too may be on track to work well into their mid-70’s, if they can retire at all. Will you be included in this group? What can you do to avoid falling into the trap of being unprepared? Here are a few suggestions that will help you begin to get prepared so that you can leave the herd that will very soon find themselves unprepared. Too many people think that things will just sort themselves out. They don’t feel that they need to think about money, retirement or even get prepared. It’s like the fairytale story of the grasshopper and the ant. For those who are not familiar with the story the skinny goes like this: The grasshopper plays all summer while the ant is working hard to stockpile food and supplies to prepare for the winter. The winter comes and the ant is prepared and the grasshopper is not. Too often people live their life like the grasshopper. They know that they have to prepare for the future but they keep putting it off thinking they will have time to catch up later. Summer draws to a close and the winter creeps up and they are not prepared. You can’t escape the future by pretending it doesn’t exist. It is coming and while I am not a doom and gloom type of person I warn very strongly that it’s easier to prepare now than try and catch up later. A future situation will not go away by pretending it’s not coming or by not thinking about it. Start thinking about it now and preparation will be easier. When should you start thinking about it? Naturally the earlier the better. It’s also true that the earlier the easier. It’s also true that the earlier you start preparing for your financial freedom the sooner it will arrive. Although this article has spoken a lot about the term retirement that’s not the goal as I see it. the goal is financial freedom and that can arrive at nearly any age and is not tied to the concept of retirement in my mind. The old saying is true, “If you play now, you pay later with interest. If you pay now you get to play later with interest.” Now is the time to start acting smart with your money. If you don’t know where you are now chances are you really don’t have a good idea on where you want to be financially in the next few years. Often when I ask people questions about their financial future they share ambiguous statements like, “I want to be rich.” or “I want to be financially free.” But most people have no idea what that really means or looks like. If you can’t describe it you can’t attain it. A goal that is specific and clear becomes attainable and near. What do you want your lifestyle to be now and when you retire? Or what does financial freedom look like to you? Get specific if you can so that you have a target. I recognize that this may change but if you begin with a target you have something to recognize whether you are on the way. This is the point that is the most important. A money manager is what most people have been trained to be. A money manager is reactive. They get their paycheck and then go about the task of making that paycheck fit the bills they have. When they get to the end of paying their bills they feel successful. At the end their may be $100 or $200 and because they feel like the goal has been met that $100 or $200 becomes what they call ‘disposable income.’ Disposable means to throw away and that’s exactly what most people do with their money. A money strategist is different and has different goals. A strategist is not react – they are proactive. They plan for the future and their goal is not to match a paycheck to expenses. Their objective is to pay the bills but also to build a better financial future. When they have that extra $100 or $200 left after paying the bills they use it further their future income in some way. Often it goes into an investment or a mechanism to generate more money for the future. remember the saying pay now to play later with interest. This is that principle in action. There are many things you can do to prepare for financial future right now. But the biggest and most important principle is to do something. even something small done regularly has the power to change your situation dramatically. Don’t wait. Get prepared. Your financial future is awaiting you and financial freedom can be yours quicker than you may have imagined. 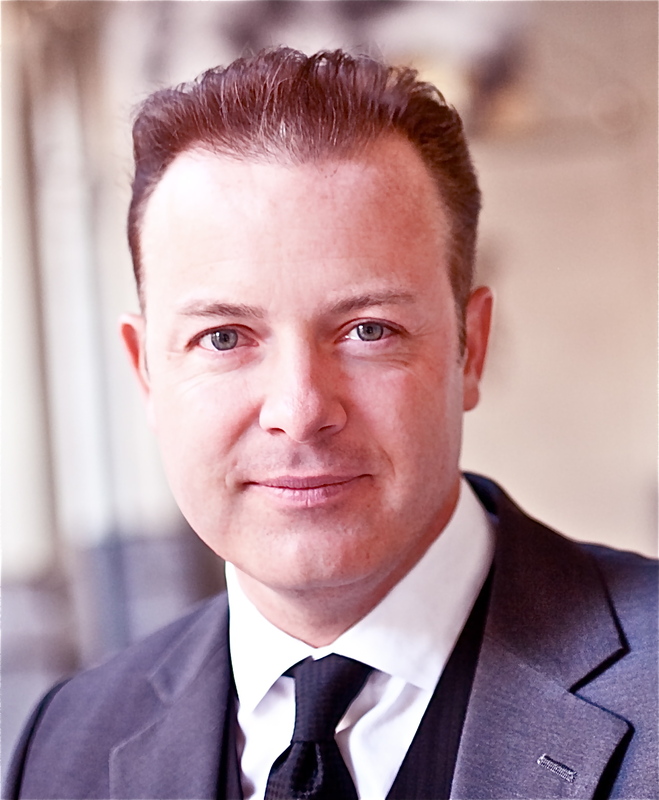 Douglas Vermeeren has conducted extensive research into the lives of more than 400 of the world’s top achievers. Douglas Vermeeren knows what they did to get to the top and he can show you how. He appears regularly on ABC, FOX, CNN, CTV, CBC and is known as the modern day Napoleon Hill. 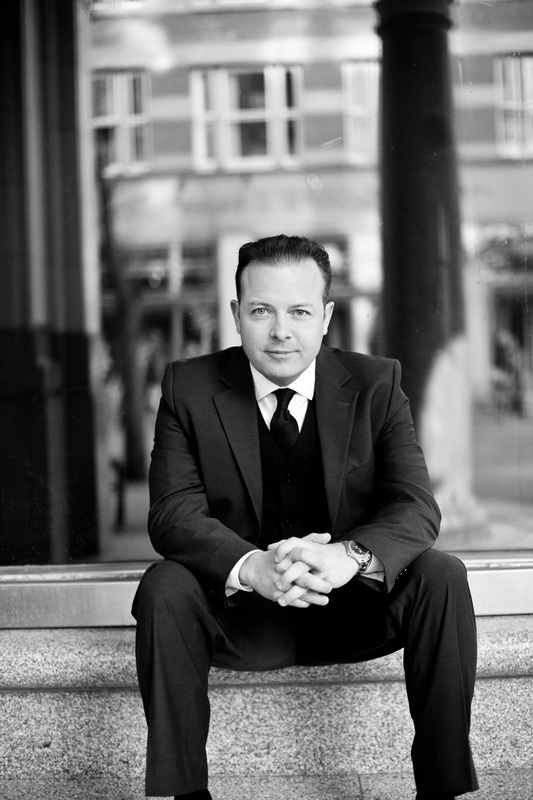 He is the author of 3 books in the Guerrilla Marketing series and is the creator of the hit personal development films The Opus & The Gratitude Experiment. His money based coaching program The MILLIONAIRE TRAINING SYSTEM has been helping attain financial freedom in the most direct and quickest route available. How is the most money made? Money is something that is important to all of us. It is even more important it seems when you don;t have any. When you don’t have enough it certainly seems to be a high priority and an issue of major concern. No matter where we go in life it seems there is a price tag attached. 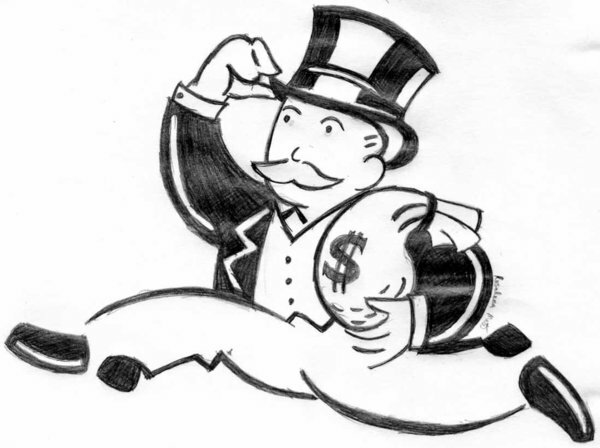 Not only have I found that money is the dominant issue among all of the students I have taught there is one issue closely related to money that has got people just as concerned. And that issue is time. 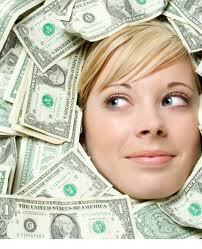 People also want to make money as quickly and easily as possible. A recent study identified 4 key areas where the majority of wealth and wealthy lifestyles are created today. I want to share them with you without going into too much detail. These are not in any particular order as great fortunes have been made in each one. nor do I recommend you pick one and limit yourself to it. 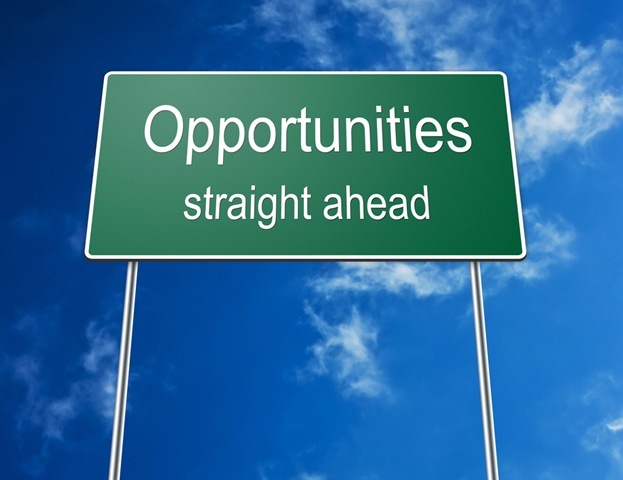 My fortune has been made by diversifying into each of these areas and I still look for opportunities in each. But if one of these opportunities is more easily available to you right now, by all means get started. 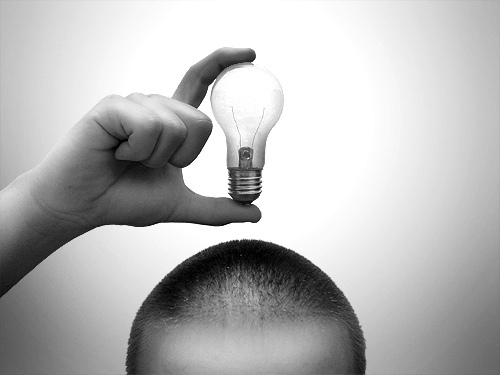 Ideas – One of the best ways to become wealthy is have a great idea and develop it. You’ll notice I did say develop it. There are many great ideas out there that never become profitable because there was no action attached to it. I recently read that the average person has approximately six ideas that could become a million-dollar enterprise each year. The challenge again is that most people don’t do anything with these ideas. To make money in the idea developing category you will need to learn how to do the following or get support in the following areas: Development, distribution, Licensing and sales. You may even need to look into manufacturing yourself to get started. Developing an idea can mean a lot of money for you if it’s done right.Business – Owning or operating a business can be one of the most rewarding activities existing. But if you speak to the average entrepreneur you will also find that it can be one of the most frustrating. Along with the opportunity to create your own paycheck you also assume all the risk and challenge of running the business. Yet if you stick with and learn systems that help you create success you can do very well. In addition to creating a business there are opportunities to purchase an existing business, get involved in franchising, or even partner with others. Business – Owning or operating a business can be one of the most rewarding activities existing. But if you speak to the average entrepreneur you will also find that it can be one of the most frustrating. Along with the opportunity to create your own paycheck you also assume all the risk and challenge of running the business. Yet if you stick with and learn systems that help you create success you can do very well. In addition to creating a business there are opportunities to purchase an existing business, get involved in franchising, or even partner with others. Investing – Investing when done correctly can make a lot for money for you. All investment however will come with some degree of risk. I always encourage our students to invest in things they understand or have experience with. There are many investment products available and many qualified professionals who can help you find investments that will work best for you. Often safe investing is a relatively slow and steady way to become wealthy. However there are many high risk opportunities as well that can generate higher returns in a shorter amount of time. In the category of investments we can include registered investments like stocks, shares,bonds, RRSp, 401K, GIC, Mutual funds and more. In this category we can also include private investment, which can include investment into businesses directly or real estate. Lastly, I have chosen to list real estate as a separate category apart from investment. The reason I have chosen to do so is that often real estate involves purchasing a tangible asset. (Which is quick different than developing an idea or buying a mutual fund.) It is generally thought that real estate is a very safe bet for investors, but this isn’t always the case as we discovered in 2008. Even with the challenges of the recession real estate is still a very safe bet considering that the market values always seem to restore themselves over time. There are several ways to invest and make money in real estate. This can include everything from ‘flipping’ properties to owning rental properties. Most people initially think of residential properties first when it comes to real estate investing, but a great deal of money can be made in commercial real estate as well. And it is often easier to get involved than most people think. While we haven’t been able to go into deep detail in each of this categories on this short blog post it is my hope that you would look deeper into each of these areas as I have made quite a bit of money personally in each area and I know they work. If you are looking for more information and strategies on making more money please visit regularly my site www.MillionaireTrainingSystems.com where you will find free information and also special secret information for our coaching clients. On this site you’ll also find information about upcoming events and media appearances that I make and talk about money. Is originality required for Success? Is it necessary to be original to experience success? Often when we hear many of the popular business coaches and gurus of today say that in order be successful in our professional lives we need to seek for originality and unique ways of spinning ourselves. They say we need to stand out from the crowd and make an impact as something dramatically different. It’s their idea that the more we stand out and make ourselves different than others in our industry the more of an increase we will see in interest. In other words of uniqueness factor is tied directly to our profitability. While I do think it is important to be unique and deliver services and products in creative and fresh ways, the overall idea of different being attached to high profits is incorrect. 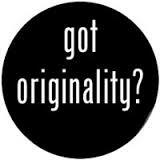 Originality in and of itself does not equal success. 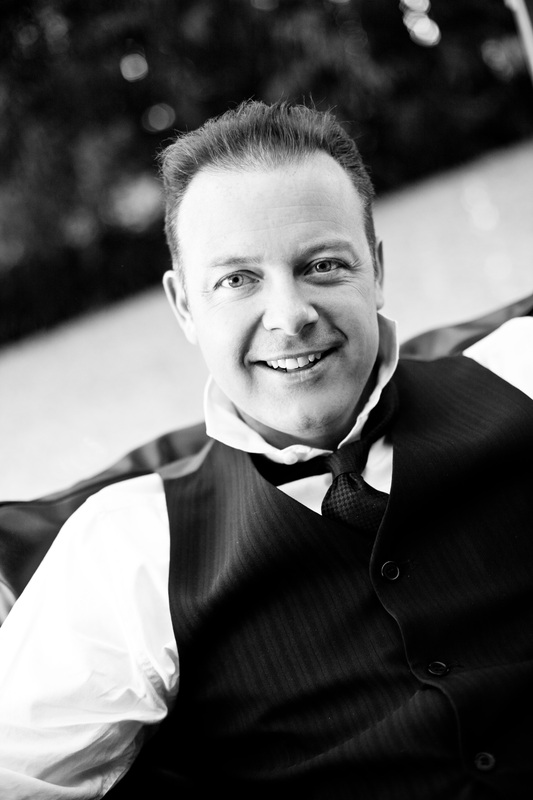 Over the last decade or more I have had the opportunity to conduct exclusive research into the lives and businesses of more than 400 of the world’s top achievers. I was able to observe the leaders of multi-billion dollar companies and the strategies they used in an up close and personal way. I saw first hand where they place the concept of originality in order of importance when creating new ventures, marketing existing ones and reshaping companies that have been around for years. When it comes to originality I found that there were two major questions that all of the top organizations looked at before investing time and money to highlight a difference. 1) Does this difference make it easier for your client to attain their goals? 2) Does the difference save time, increase profits or create a system for the client? 3) Does this difference create or destroy your credibility in the eyes of your client? The second thing is that you must be able to communicate it effectively. It must be done with class and intention. Think of when you were in middle school. There was ‘cool’ different and ‘weird’ different. If you can’t be the ‘cool’ different then your uniqueness will be counterproductive. ‘Cool’ different comes when people get why you are different and your different makes sense. 1)What are you really trying to say? But is originality the most important thing or even an essential ingredient at that? Hardly. 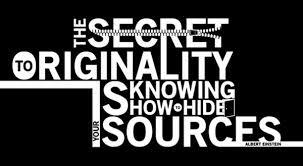 Most of the top money making organizations in the world did not lean on originality to become the top in their fields. Instead it had to do with delivery. Felix Dennis, creator of Maxim Magazine, once said something that really made sense to me and sheds some light on this questions. I’m paraphrasing now. He said that the power of a great idea is not in the idea. It is in the making of the idea. If an idea is never developed or made it has no power. In other words your originality is not success. At least not until you can develop it into something that is useful to others in such a way that they are willing to pay you for it. So before you begin to spend time and money to tell your unique story ask yourself does it add value to others and can you communicate in such a way that they get it? If you feel like now is the time to increase your belief and learn keys to success I would like to share more of what I learned in my research with the 400 top achievers in the world. It has helped me make an incredible amount of money, improve my relationships, enjoy great health and live my life according to my highest values and desires. To get started go to www.DouglasVermeeren.com and click on the Maximum Results link. 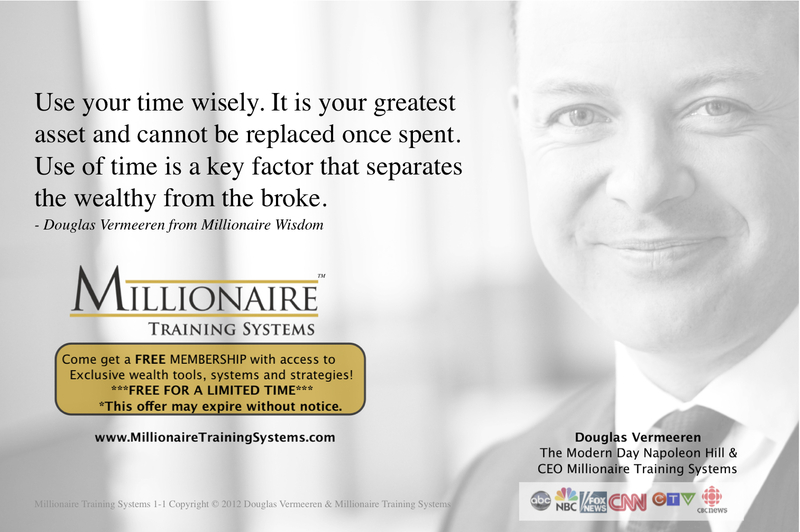 Douglas Vermeeren is also the CEO of Millionaire Training Systems.